The date has been rumored for a while, but now it's official. Verizon has announced via its official Twitter account that the Moto X is hitting virtual shelves on August 29th. The retail launch will come a few weeks later. 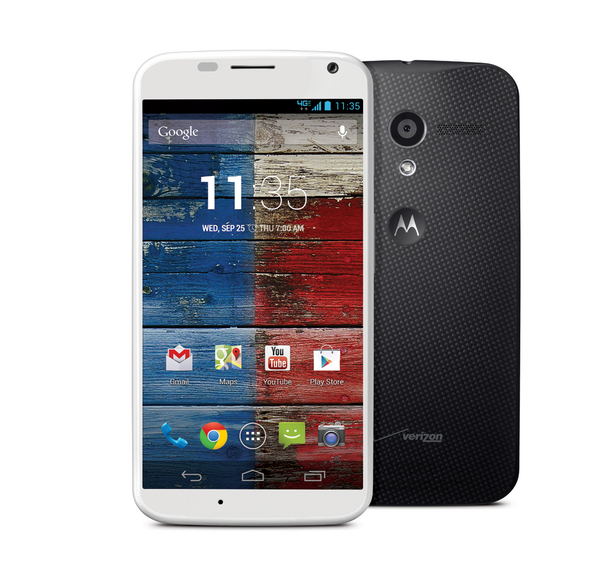 This is the same Moto X you can buy right now in AT&T stores, but locked to Verizon's network. Like the AT&T version, the bootloader is locked on this unit. If that bothers you, you'll have to wait on the developer edition. The price will be $199.99 with a new 2 year term of indentured servitude service contract. The phone is only available in black and white on Verizon for now – AT&T has an early exclusive on the Moto Maker customizations.